“While reading the book, I caught-up with a childhood superstar whose cricketing journey coincided with my growing-up days,” writes Nayan Basu. Most followers of Indian cricket, if not all, would remember the day Vangipurapu Venkata Sai Laxman decided to retire from all formats for cricket. It was August 2012. He was picked for the home series against New Zealand, which included a match in Hyderabad, his home town, where he could have had a grand farewell had he decided to continue playing. But for a man who always played to contribute to his team’s win, his goodbye from the game would be no different. He quit on his own term, when he thought was the right time to move on and allow younger players to take over. In his book, 281 And Beyond, co-authored by senior cricket writer R. Kaushik, VVS Laxman opens up about his journey from a boy with middle-class values growing up in Hyderabad, to becoming one of the pillars of Indian middle-order batting and carrying the responsibility, until his last day as an international player. The book is filled with intriguing personal stories and inspiring anecdotes: they are sincere, philosophical and insightful. The narrator, by virtue of his humble and modest upbringing, uses the book to appreciate and thank every soul who had contributed in making him a successful sportsman. Though VVS Laxman made his debut for India in 1996, his claim-to-fame moment came post the memorable 281 runs knock against Australia at Eden Gardens in 2001. For a knock that made him a regular member of the team and redefined Indian cricket in a manner which yielded great benefits in the years that followed, it’s only fitting that the book opens with some words about that great innings in the iconic venue. Laxman writes about the innings at the Eden Garden with utmost fondness right in the first chapter of the book — The Knock That Changed My Life. The chapter talks about what he was going through before he went out to play the knock and how he maneuvered his way to the record. “Venkatesh Prasad and I had just returned to the pavilion, Australia having bowled us out for 171 in under 60 overs ad asked us to follow-on. I was the last man dismissed and had just sat down to remove my pads when a friendly hand came to rest lightly on my shoulder. And what happened after that is known to every cricket fanatic in India and around the world. However, what is not known to people on the outside is the fact that VVS was all set to miss the test match because of an injury. And he was in severe pain in the days prior to the match. He was almost in tears when he went to the then physio of the team, Andre Leipus, for help as he was desperate to play at Eden Gardens. “Tell me you can fix this Andrew.’ There was a salty taste in my mouth. I didn’t even realize I had started to cry. Perhaps it was the sight of a grown man weeping that did the trick.” he remembers. The first five chapters of the book basically gives us a hint of how VVS Laxman is in his personal life. The initial chapters takes us through his early years in the game and he doesn’t miss any opportunity in showing his gratitude to each and every person who had helped him or was beside him during his initial struggle. His love and respect for his parents, who are both doctors, is well documented as they find multiple mentions in the book. Laxman thanks them for allowing him to follow his dream of playing for India. Beside his parents, if there was another person whose contribution was immense in shaping Laxman’s cricket during the initial years, it was his uncle, Baba Krishna Mohan, whom he calls Baba Uncle. Right through the book, we come across their names almost in every chapter in which he calls them out with utmost humility. This shows the kind of upbringing he had and the value system he inherited from his family. Often referred to as a ‘sincere’ person who has an ‘ever-smiling’ face whenever he meets or greets someone, Laxman reserves the best of praises for Mohammad Azharuddin, his childhood hero whom he idolized growing up in Hyderabad and also watched him closely when he was a part of Andhra Pradesh Cricket. When VVS Laxman joined the Indian team, it was not easy for him to find a place in the side. His selection into the playing eleven was never a certainly because India already had skilled players in the middle-order who were hard to replace. His injuries, first his finger then his back, didn’t help the cause either. Hence, he was often on and off the team. However, things changed, for good, post the historic 2001 series against Australia; after which, he became a regular member of the team and he, along with Sachin Tendulkar, Rahul Dravid, Sourav Ganguly and Anil Kumble formed the much-loved and much-admired ‘Fab Five’ of Indian cricket. 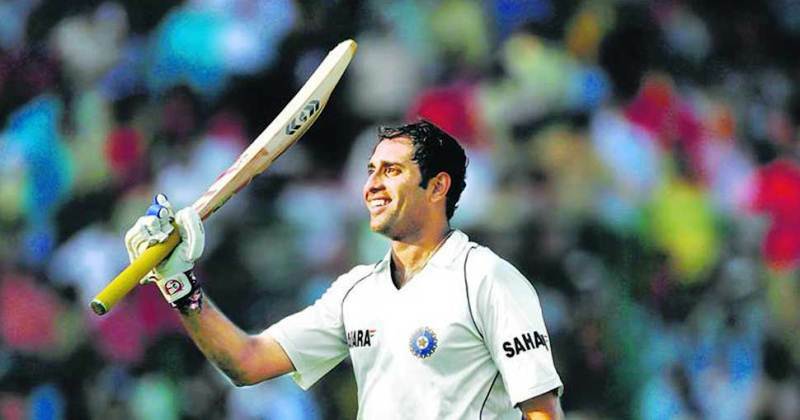 The book, being an autobiography of a sportsman, largely talks about his cricket; but, what also comes out of it is the man VVS Laxman is in real life: a person who played the game with utmost pride and honor and was loved by both his teammates and oppositions. Throughout his cricketing years, which spanned for more than a decade, no opposition ever sledged him, not even Australia (the team notorious for on-field banters). That shows, if not anything else, the respects players of other teams had for him. For me, however, reading this book was a personal journey into my childhood. I caught-up with a childhood superstar whose cricketing journey coincided with my growing up days.